NORWALK, Conn. (AP) A 1600s Native American fort uncovered as part of a rail bridge replacement project is shining some light on a tribe's first dealings with Europeans, archeologists said on Aug. 28 during a tour of the site. 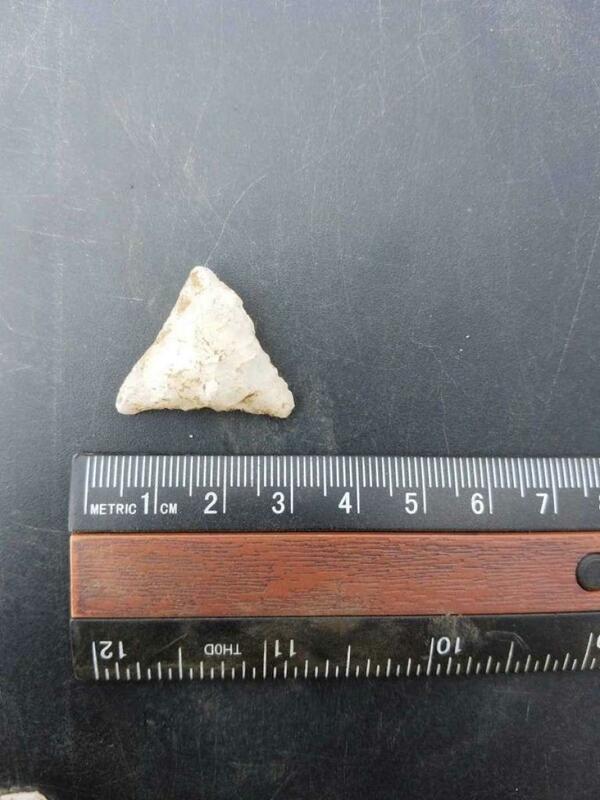 The find on a small sliver of land next to railroad tracks that carry Amtrak and Metro-North commuter trains is considered one of the most important discoveries in the Northeast for Native American history. Not only did experts recently find the remains of the 17th century fort, they discovered some artifacts including arrow and spear tips that date back an estimated 3,000 years, indicating Native Americans were active at the site for generations. No evidence of human remains has been found. Harper said he believes the fort had wooden walls because what appeared to be post holes were found where vertical wood pieces were placed. He said it appears the Norwalk Indians, a tribe that historians know little about, had a fort at the site from about 1615 to 1640 and used it to trade goods with early Dutch settlers. The site is on a small sliver of land next to railroad tracks that carry Amtrak and Metro-North commuter trains. A 19th century history of Norwalk mentions an old Native American fort, and a road near the site is still named Fort Point Street. The site was found during preliminary archaeological surveys ordered as part of the state's upcoming replacement of the 122-year-old Walk Bridge, which spans the Norwalk River and swings open to allow boats to pass. The bridge has gotten stuck in the open position several times and caused massive rail service delays. Construction is set to begin next year. Harper works for Archaeological & Historical Services Inc., a Storrs, Connecticut-based firm that is painstakingly removing artifacts from the site and taking them back to its offices for cleaning and further study. Some of the artifacts may be headed to museums. The firm will write a lengthy report on the artifacts and its findings. The firm, which plans to completely remove all artifacts from the site by the fall, has been working in consultation with the Mashantucket Pequots and Mohegans — the two federally recognized tribes in the state. There is no known opposition to the removal of the artifacts. The two tribes issued a joint statement on the project this week. The site is one of only about a half-dozen in the Northeast known to have contained evidence of Native Americans' first encounters with Europeans, and most of the sites have been destroyed or removed during development of the lands, Harper said. The rare find is what drew about 20 archaeologists from the region to Tuesday's tour in oppressively hot weather. McBride said items found at the site provide some insight into Native Americans' first interactions with Europeans and show how they incorporated European products such as iron tools and knives into their culture.